Broker’s Report June 16––I’ve got plenty to say this time around so bear with me. I’ll try to be concise. I’ll cover ground including the very interesting current market conditions, the ongoing development planning in Mammoth, the anticipated effect (my guess) of escalating gas prices on Mammoth, the latest and perhaps desperate maneuvers by local real estate “professionals” that consumers and customers should know about, and some recent comments made by Starwood Capital’s CEO Barry Sternlicht. Stay with me. Mammoth real estate activity in the past 45 days has made it clear there are real buyers for properties in almost all segments of the market if the prices are down. How far down? In some segments that means up to 25 to 40 percent off of the peak asking prices. I said asking prices. As I’ve alluded to in the past, “asking prices” and seller’s expectations became delusional. We’re now finding what the market will bear. But in other segments the buyers are becoming serious with only a 5 to 10 percent cut from the peak. Just some examples; Most of the REO (lender owned/foreclosed) properties are selling. Last week we listed a REO 1 bedroom + small loft/1 bath at Sierra Manors at $149,000. This is no cream puff property––it needs plenty of work and is located in a late 60’s built project. But there was blood in the water. The property probably could have been sold 25 times. Another example; an unimproved Bluffs lot seller became seriously motivated this week and offered a special price if a buyer could close by July 1. The seller was offering a 25 percent discount off the last comparable sale. Again, blood in the water. In the last 30 days we’ve seen high-end residential sales (my office) at $3.4M, $2.5M, $1.5M, and others in the $1.M to $1.3M. These buyers were all buying at below replacement cost. (And the Town is trying to raise permit fees again––close to the highest in the country.) And there are plenty of people milling around looking at real estate. Every day I see people in nice cars slowly driving down my street looking, pointing, checking the map. The high-end interest is what impresses me. I can only conclude that the affluent continue to park money in Mammoth real estate as a diversification of their assets (and is this a potential hedge on inflation?). I also believe that the Boomer effect continues and the mountain lifestyle is becoming increasingly appealing. I’m also hearing the term “safe haven” used more and more––and they’re not using it in financial terms. The local real estate inventory is staying on the low side. This is normally the time of year we see inventory increasing. We may be seeing what I refer to as “the Aspen effect” pertaining to real estate. I’ve been saying this is very much a “don’t have to sell marketplace.” Plenty of listings are expiring and not coming back on the market. Many sellers are indifferent. 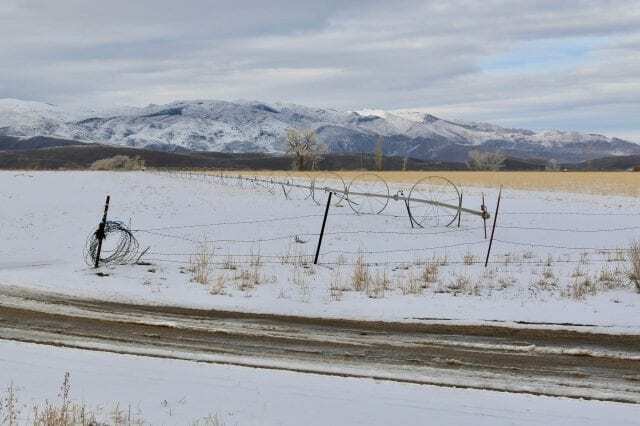 This is typical of the market in Aspen as recently reported––very few owners have real pressure to sell, and when they do decide to sell, they price it appropriately and liquidate. The Mammoth market is appearing more and more like that. Of course, the gamblers of past couple of years who financed to the hilt are in an entirely different boat. They are just getting foreclosed on (or are trying short sales first) and these REO properties are finding new owners at nice discounts. Meanwhile, the local papers continue to be filled with articles about planning and development meetings. There seems to be a strange clinging-on to false hope. New project inventory mostly sits. Commercial vacancies abound. Many Town employees are once again trying to justify their jobs and the developers are trying to justify that they still have viable projects, or that there is some magic bullet. (BTW, if you haven’t heard, The Ritz has been “postponed” for a year for a variety of “reasons.”) These meetings are filled with “blue ribbon” participants and “stakeholders” and even some obvious shills. It’s entertaining for a few minutes but I spent endless hours in these types of meetings in the 90’s and everybody takes it all so serious. And in the end all of the earnest planning gets shoved aside when corporate and individual greed brings the hired guns to town to intimidate the weak elected officials. Most of this ongoing discussion is an exercise in futility––the Wall St. money to back these projects is gone. And even if it existed, the development execution of the past few years (and the lack of buyer interest in these projects) has been so poor that anyone can see that that risk is too high and the cake is spoiled. Plan it all you want but nothing is going to happen without some economic viability. Or until the collective buyer mindset forgets. I’m really glad these people want to spend all this time in these meetings, I’m going to spend my time outside. Maybe they should hold more of these meetings outside. Okay, so how will the price of gas affect Mammoth? Many fear the exorbitant prices will destroy tourism. But Mammoth remains on the affordable side of the vacation spectrum. Some speculate that travelers won’t go great distances but will still travel, and Mammoth is within the range they will travel to. Maybe visitors will stay longer and stay more centralized and enjoy the amenities within the close proximity of their destination. Mammoth can certainly fulfill that, especially in summer. 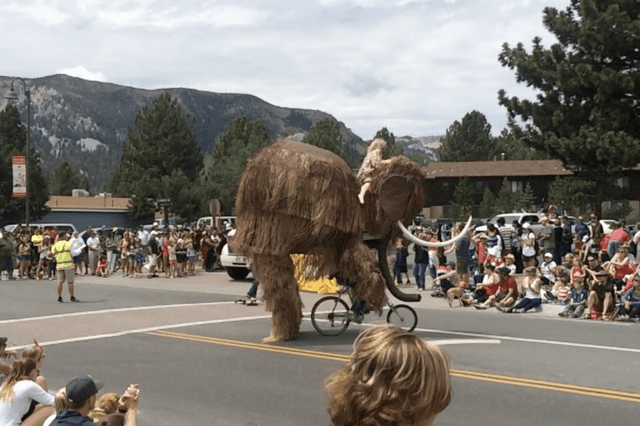 Maybe Mammoth visitors will rely less on motorized sports and get on their bikes and on the trails. I’ve already heard reports of more European visitors this spring, and everything is “on sale” for them. And maybe, just maybe, lots of second homeowners who rarely use their properties will actually come and spend some time in Mammoth rather than take expensive vacations. They might even re-discover why they own in Mammoth in the first place. I’ll title the next paragraphs “Consumer Protection.” The local real estate community becomes more entertaining all the time. It has now become more important for agents to answer their phones so their clients don’t think they’re at their second job. And the July 1 “wireless” law means agents won’t be seen babbling away with their cell phones to their ears as they’re driving down the street. But some are beginning to show what I think is desperation. Recently, one unsold new project reported four “sales”. They were actually the developer partners buying units from themselves with conventional financing. Now this might make sense to get rid of some of the higher construction loan interest rates. But the listing agents were ecstatic about these “sales” that now “represent comparables” to be used “in your daily marketing and sales activities.” Buyer beware (please). If you are a potential buyer in this market in this price range or in this project you will be told about these “sales”. And now we have the largest brokerage representing the new and near-new developments in Mammoth deciding they should be representing foreclosures. Does that mean they’re throwing in the towel on dozens and dozens of the developer’s (Intrawest) unsold (and getting stale) properties? And what about the multitude of clients they already sold (and earned hefty commissions on) and have their properties listed (and can’t sell)? They hyped and sold Village properties and now they want the REO listings that will crush their client’s values. I guess the new strategy is––throw your old clients under the bus so you can get new ones. (FYI––I’ve never sold a Village unit.) Sorry, I just have a thing for “consumer protection”. As a kid I remember hearing, “Son, you just can’t talk out both sides of your mouth.” Today, maybe it’s okay as long as you don’t do it at the same time. “Mexico is the new force. It is a huge destination. People don’t get sick there anymore. From the U.S., we are in the same time zone. The weak dollar makes Mexico a bargain. All this makes Mexico big.” Hey Barry! Mammoth is in the same time zone and people don’t get sick here either. And all the businesses are discounting because everybody is hurting. And you already own us! Wassup? Or, “There is no need for another hotel, but there is a need for another experience.” Oh, so now we know why the “1” won’t be built. So what is the “another experience” you have planned for Mammoth? I can’t wait. Sounds like more trout and rice for the local masses. And then Mr. Sternlicht is quoted in the Wall St. Journal that “cheap airline tickets have inadvertently subsidized the hotel industry.” Well, isn’t that timely? I’m sure all those condo hotel owners in the Village just can’t wait for your Ski Area to help subsidize cheap airline tickets to fill their properties with quality rentals at high rates (as promised by their agents). Don’t hold your breaths. So the local election is over and we will have a new Assessor with real experience––and a changed Town Council too. But Mammoth as a whole is still void of any real leadership. Don’t expect that to change at anytime in the future. But for now summer weather has arrived, the Memorial Day weekend moisture is greening things up nicely, flowers are blooming, the deer are moving in, the Creek is rushing, so see ya! I know how much you love the Village and tear it apart at any chance given, I am sure you did not make a ton of money in the Intrawest8 year hay day???? And yet you still bash it and don’t support the mom and pops that are dying there, however allot wealthier. Great report, great update on activity, good and bad. Shocking the Ritz has been delayed. Never have figured out what “Destiny” buyers were going to fill the place. No Ritz, No “1” ? That must mean the Westin will have a monoply and achieve great booking success. Try walking to and from the Village for dinner, from the Westin. Clue, the trip back is not recommended for non, olympic athletes. What is Sternlicht and Trump thinking about property ivestment in Mexico? Drug wars in Baja, Mexico is now the kidnapping capital of Latin Am and the Mexican Govt. (ok, govt. is wrong word) takes back land owned by Gringos every ten years. Oh, things are really different this time. I wish the Village condos had been built with that new fangled “ventalation” stuff and a parking structure to welcome locals and us legacy visitors. I do feel for and have posted many times about the disaster for the few mom & pop stores in the Pillage. I know how much you love the Village and tear it apart at any chance given, I am sure you did not make a ton of money in the Intrawest 8 year hay day???? And yet you still bash it and don’t support the mom and pops that are dying there, however allot wealthier. I meant to say YOU however are allot wealthier thanks to the Intrawest hype machine! Time to smell the roses eh. $149,000 for a condo. Now we’re talking! Down how much from the peak, u think? And how much more to go? I like your optimism on $4.50 gasoline not mattering. Are you a real estate salesperson ( 🙂 ) ? BTW, how many agents ARE working at Vons? I’m so glad the market is turning. “Buy now, before things go up”…hahahahaha. Guidelines have changed, Rates are going up. Incomes…are they going up too? Nope. 20% down, is the norm now. Please let me know if you know anyone who has put 20% down from money that they saved from their 120k/yr job. Not possible. The only buyers are the ones who are 1. really rich or 2. made some cash flipping homes. That game is over. Bottom line, very few in southern california can afford thier own home. Tell me how many of your friends are saving 5k per month? 1k? $500? Another 20% haircut from here. Can you give us a sense as to what parts of the market are getting the larger markdowns? Good question. The segments that are seeing “25 to 40 percent off the peak” are all over the Monopoly board. The upper end of the single family residential. For instance, the home that just closed for $2.5M I had listed at one time (’04-’05) for $4.3M. The house referred to at $1.6M was originally listed at $2.5M. Many of the older condos without great locations, views, etc. can be off this much. The Village–we just closed a 2/2 REO in Lincoln House for $520K. The 2/2s were selling for over $800K in ’05. Other segments are holding up–good homes in the $750K to $950K range, Juniper Springs Lodge, and others. Time for an evening mountainbike ride! I had the same question Niva. Thanks for asking and thanks to Pual for the very specific, fact supported response. The BS stops here. The family feud is now very public between MMSA, CNL/Intrawest in the Village and June Lake. MMSA VP Murphy openly states MMSA is forcing CNL and TML to deal with the Village Parking problem. Three more Village Shops going to close ASAP. Intrawest says they will not start Rodeo Grounds project till MMSA starts June Mtn improvments. MMSA tells Intrawest to she me yours first. It looks like the Mammoth market has more downhill left in their slide and the big boys are positioning for a bottom deal. I think gas prices will mean fewer cars, full of people per weekend. The big boys screw up and fight and the locals try to hang on. Good thing hiking, fishing and bike riding are nearly free. Lincoln House #3208, a 2/2, REO, closed this week for $520,000. What you are probably looking at is Lincoln House #3126, also a 2/2 REO that was just reduced to $539,900. I know there’s been offers on it. There are more REOs coming in the Village based on the Notice of Defaults currently filed. So far there is interest in these properties–but buyers are looking for the best deals. We have been able to book over 120 nights since we got the property last fall, and we use it ourselves on all major holiday weekends. Nearly enough to make the payments. Now my question is this: Does anyone know if larger rental units (4 bedrooms plus) rent better or worse than the smaller units. Is there more or less rental demand for the larger units? Help me with this calculation. You’d have to net at least $44,000/year to break even? You must do very well with your rentals? On our condo, with 20% down, our mortgage is $2502. HOA and other expenses are about $1100, so our total monthly expenses are $3602 x 12 = $43,224/year. We have booked 131 nights at an average of about $250/night, so that brings in $32,700 in income. We manage the property ourselves, so we don’t have to pay management fees. We have a housekeeper who cleans after each guest, but we pass on that expense to the guests. We therefore cover 75% of our expenses, and our net monthly cost is about $877, which is what we would spend if we rented a place for one 3-day weekend each month. We actually expected to only book 100/nights per year, but the bookings were better than we expected. I think that snowcreek V lends itself to both winter and summer rentals. No Parking, No Commercial Airport, Tanked Economy, Unbelievable Build Costs, Spiked Gas Prices, and I say with a strait face, these factors were and continue to be trumped by bad TML decisions and a flawed “Destiny” vision for Mammoth. I smell strategic vision myths. Myth #1: Airport “Destiny Market” will fuel high end real-estate buyers from mid-west/east coast. Isn’t Tahoe real-estate, with hundreds of flights into Reno, primarily supported by California buyers and renters? Why is TML going to change all that with a few flights per day, one versus numerous ski resorts and no real Nevada mega casinos? Myth #2: High end condo hotels and fractured ownership properties can work in Mammoth. The airport myth is only partially to blame for this 2nd myth. Mammoth will never be a SoCal or NYC hipster party place. It will never be a Palm Springs or Santa Barbara or Vail hide-out. The 395 Drive demographic is not the Ritz, “1” Hotel, 80/50 target buyer. Ok, The Pillage sold out, but do not call that the high-end for SoCal Glitz crowd. A parking structure may have saved the Village, but would it and a healthy Village have saved Talus, The “1” Hotel, 80/50 and the Westin? These projects, with the exception of the delayyyyed “1” Hotel, were in place for the boom days. These projects suffered from build cost over-runs and delays. These products were targeted at the mythical “Airport” visitors from WHERE? These projects made faulty strategic assumptions based on a “promoted”, not promised extended Village that was to surround the small Village of today. The Ritz project seems really crazy. Staubach Group closed escrow on that land long after it was clear that the Pillage was in free fall, long after it was clear that the Westin was code blue, well after Mammoth’s miracle owner “Starwood” decided NOT to build their “1” Hotel, long after the real-estate credit crisis matured. What was the Staubach/Ritz thinking? Myth #3: Rich boomer demand for mountain resort property was endless. Supply for boomer high end properties out paced boomer demand. Ask Credit Suisse about that. Many rich boomers are flocking/buying in warn beach or desert golf properties. Us Mtn folk are actually a boomer minority. Myth #2 may be a symptom of Myth #3. I think some very bad strategic decisions have been made on mythical market capture opportunities. I think opportunity for the next strong sales market is years away, well beyond Starwood’s exit target. I think the town is ripe for a cents-o- the-dollar buy and a complete reality check, redefinition of Mammoth’s “Destiny”. I bet the next wave of decisions will spend money in ways that harvest the remaining LA/SD/SF-Bay opportunity. Thanks for the calculation, it was very helpful. Its nice you’re able to visit Mammoth often. 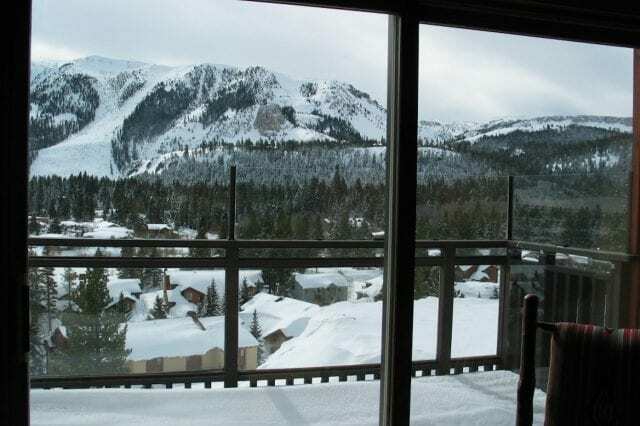 Would you share what you like about Snowcreek versus condos in town or near the slopes? Also, are you able to easily reach Eagle or Canyon via the shuttle from Snowcreek? Your Sunrise home is simply gorgeous! Your Sunriver home is simply gorgeous! 1) Its one of the most open condo complexes around–lots of greenbelt and open space, great views, room for the kids to ride their bikes, trails nearby, etc. Compared to some of the condos near canyon, which feel smothering, Snowcreek V feels so open and airy. 2) We figured that winter rentals were a given, even though we are not on the slopes, or even close to a shuttle route. That proved true. We had every single weekend (and many weekdays) from Dec. 15 to May 15 booked. 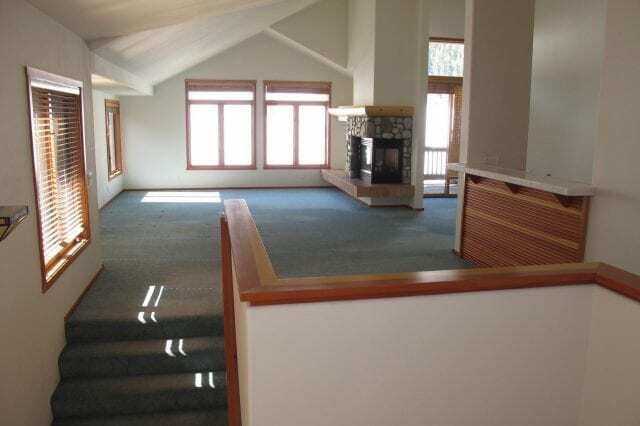 3) We figured that summer rentals were the challenge in Mammoth and that people would rather be in Snowcreek V in the summer versus being over by canyon lodge. That has proven true as well. 4) I love being able to park immediately in front of the condo and unload with no stairs. (We have kids and LOTS of gear, summer or winter). Getting to the slopes is the only downside at Snowcreek V, but it is literally a 3-4 minute drive to eagle from our front door. Parking is a hassle of course, but we have always been able to find a spot, albeit with some walking involved. I just unload the family at the loading area and then park and walk back. Not too bad. Its definitely a balance. Thanks for sharing Nivalto. speaking to mm1968, you are very economically savy. How is it living around so many people that are koolaidaholics. You are right, things will go 25 cents on the dollar, and what is funny, not all of them will sell with a 75% haircut. Get used to places getting worn down, and there being no economic upside to buying property. Why not keep your money and your flexibility. A bank cd at 4% will yeild you far more than real estate will over the next 15 years. Atleast it won’t be a negative number. It will be negative (in real terms) if inflation is more than 4% which it is running now. Of course Government estimates of inflation of 2-3% is a lie. That is why the dollars are running to real assets i.e. commodities (not already bubbled and deflating Real estate).